I am a sucker for Spanish grammer, Latin music and the amazing process of learning a new language. I liked to point out to the students that some words are simply more fun to say in Spanish. "Las Pantuflas" (Pan-tooo-flas) means slippers. It's just fun to say. I also have a soft spot for "Los Hongos" (Own-goes) which means "mushrooms." They taste good. They are fun to say. BRING ON LOS HONGOS!!!! 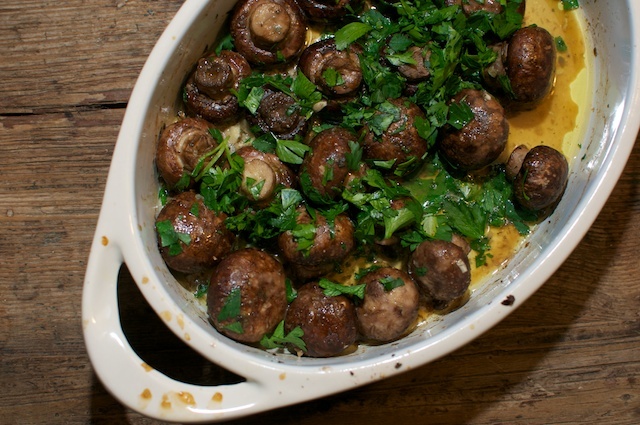 I saw this incredible recipe for mushrooms slathered in butter on Gourmet.com. 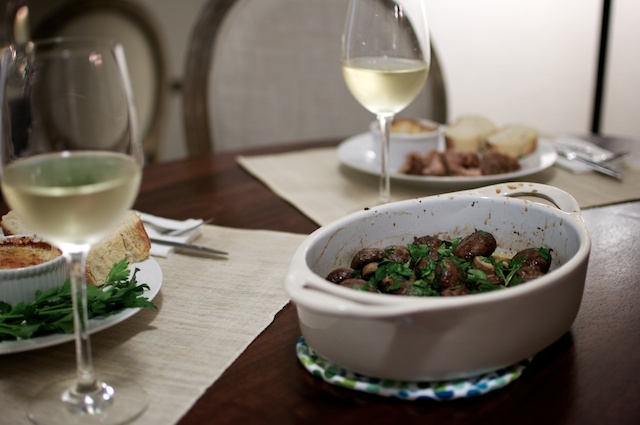 Then one of my favorite food blogs SmittenKitchen featured the same recipe. I knew it was fate. These mushrooms were calling out to me. And they are good! The mushrooms didn't disappoint, but sopping up the garlicky-butter-goodness with crunchy bread is really the highlight of this dish. 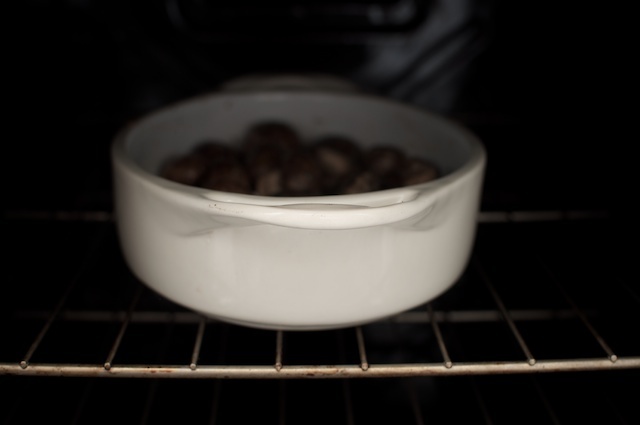 Toss mushrooms with capers, garlic, oil, and 1/8 tsp each of salt and pepper in a 1 1/2- to 2-qt shallow baking dish. 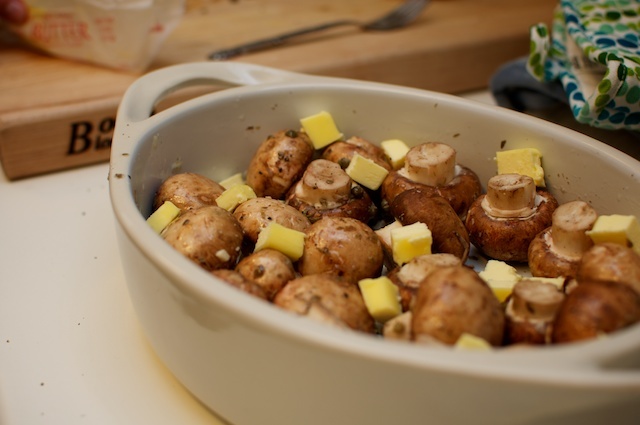 Top with butter and roast, stirring occasionally, until mushrooms are tender and golden, 15 to 20 minutes. 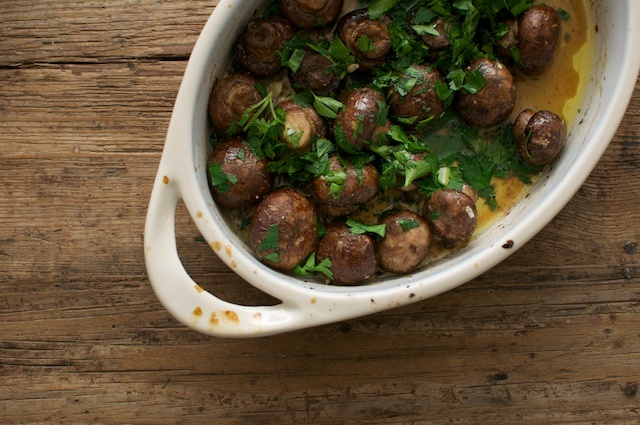 Stir in lemon juice and parsley.